The typewriter can be used for more than just lines on the page. Many artists use typewriters to draw pictures, create designs and more. With Art and Concrete Poetry we explore more formats. You may use these as inserts for letters or as works of art on their own. The question is, “What do I do with this blank page”? The Solo Practice: The participant types the art themselves. Use this technique (instead of The Type Bar Practice of dictation) to explore type art on the page. 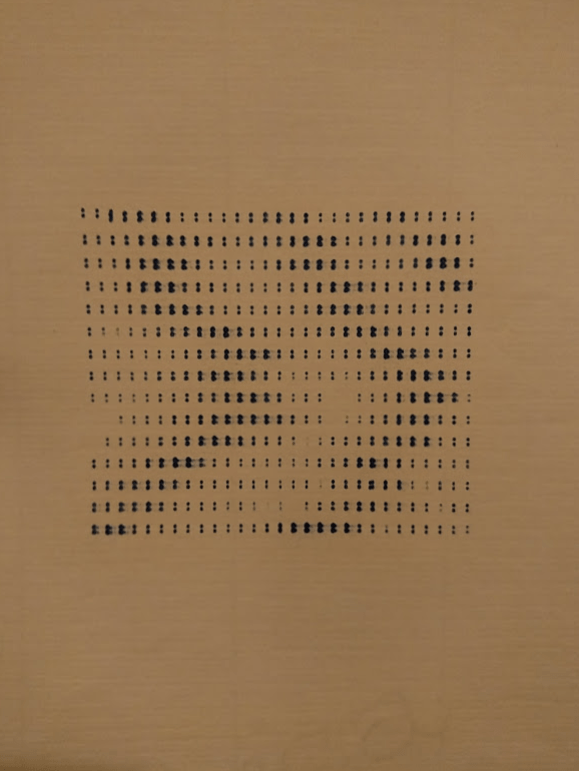 Concrete Poetry is a form of poetry that uses the shape of the words on the page to convey meaning. The typographic effect may be more important than the words themselves. 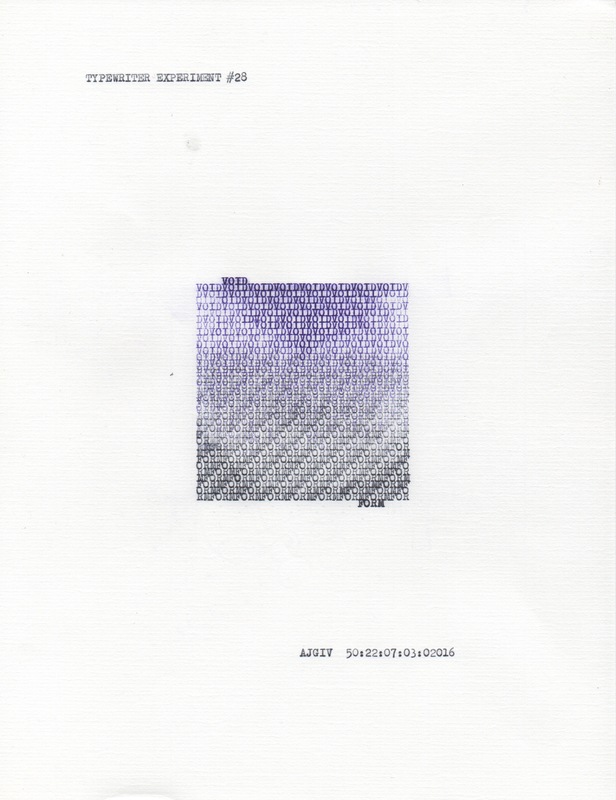 Typewriter Art is any typewriter markings on the page used to create non-textual images. This art form has been around as long as the typewriter. Use “Anatomy and Physiology of the Typewriter” for an introduction to techniques you can use. 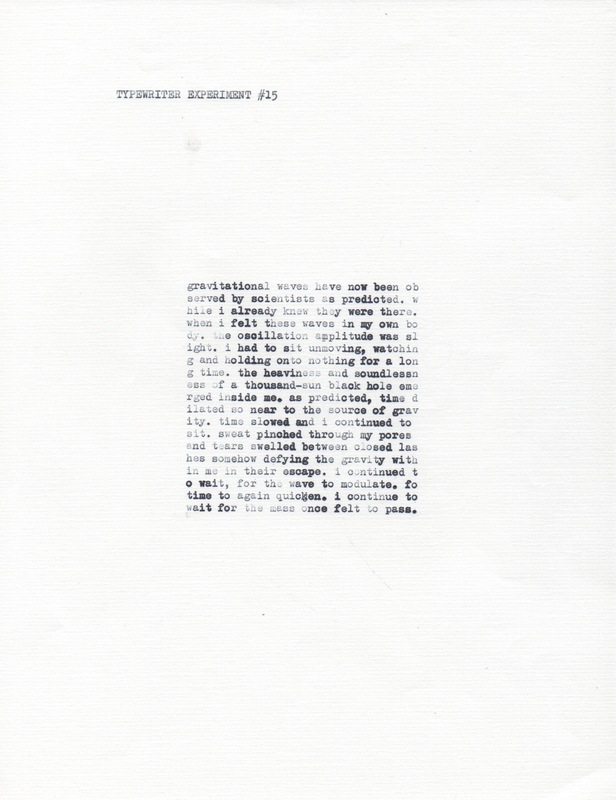 Text and weight of type work together to create a feeling of waves in this prose poem. Non textual characters create a pattern by using different strength keystrokes for each mark.